I can certainly relate to the struggles of the modern day woman. I’m often asked how I keep everything in order, from working full time, planning a wedding, crafting at night, spending time with the mister, the list goes on and on. I stay organized and motivated by making goals lists and tackling them one at a time. The Destination Femme team and I want to celebrate just how awesome you, the modern woman, are by treating one special lady to this fantastic curated collection of my favourited items! Read further to enter! How do you stay motivated and balance? 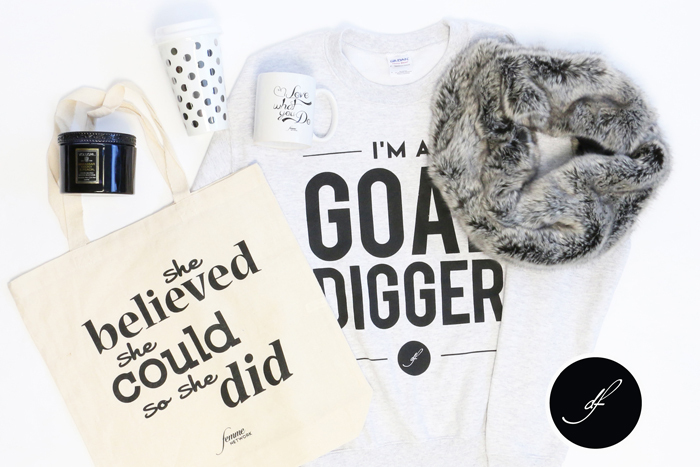 Perhaps this “Goal Digger” Sweatshirt may give you an extra boost?? Here is how you can win, enter the draw by using the WIDGET below. Contest is open from December 9, 2014 12:00 a.m. EST to December 23, 2014 12:00 a.m. EST. This contest is only opened to Canadian and US Residents only, one winner will be selected to win my collection of favourited items! Winner must provide a valid shipping address to receive prize. +10 entries by commenting and sharing what keeps you organized, balanced and motivated! 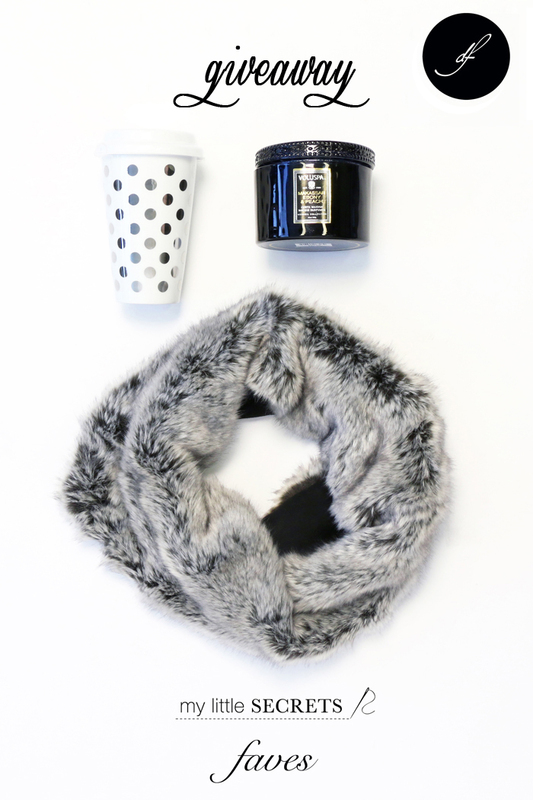 Good luck and looking forward to seeing you sport all these fun items! Exercise, running in particular – helps keep me sane in this crazy thing called life! Being around people that keep you positive and happy – only the best way to stay organized and motivated! To stay balanced, organized, and motivated, I tend to think positively and take things slowly. This helps me to stay cool I’m pressured situations and I try to be active and meditative by doing yoga whenever I’m not busy running around for work and school! I try not to stress out and going for a long run gives me that extra boost of energy. I keep balanced by being a crazy multitasker…totally keeps me centred! I try to stay calm no matter what and drink a lot of water when I’m stressed, I’m not sure why but it helps me! Also to stay motivated I like to ride my bike, hang out with my friends, think positive and try to find something I love in everyone! I read and listen to music. When I’m really stressed, I sing along at the top of my lungs and have a little dance in my living room. Live.Laugh.Love. Three simple words that’s help me get through my day and make everything better. More concretely to-do lists are my definite #1, positive attitude and staying fit. I exercise at least 5 days a week and a good nights sleep is imperitive. Lists, lists and more lists! Plus, making sure I prioritize my day when I get started in the morning so I don’t lose focus. By eating right and keeping an organized calendar! To stay balanced and motivated, I take a step back and think about what’s really important, and I tackle that first. I plan well and schedule in exercise! I live with my planner attached to my hand, or at least near it! I use different coloured highlighters to keep track of what I’ve done, and what is left to do. Being organized like this and seeing things checked off keeps me motivated! I like the visual. I’m still working on the balancing part! I go for walks and hikes, I read, I have hot baths,and I try to get enough sleep at night. I wake up early after getting a good nights sleep. I also try to get in a walk every day. It helps clear my head so that I am more focused. When I’m staying active and exercising, I notice that everything else falls into place. I stay positive even when things don’t look good. I am in grad school and even I keep a strict schedule: I go into school every day from 8:30am-5pm and then go to the gym for two hours, then I have dinner, shower, and then watch TV / do work, and then I go to sleep at 11pm. Having such a structured day allows me to be productive, but also gives me time to de-stress! Enjoying simple things in life and by staying positive. I use post notes. The simplest thing ever!